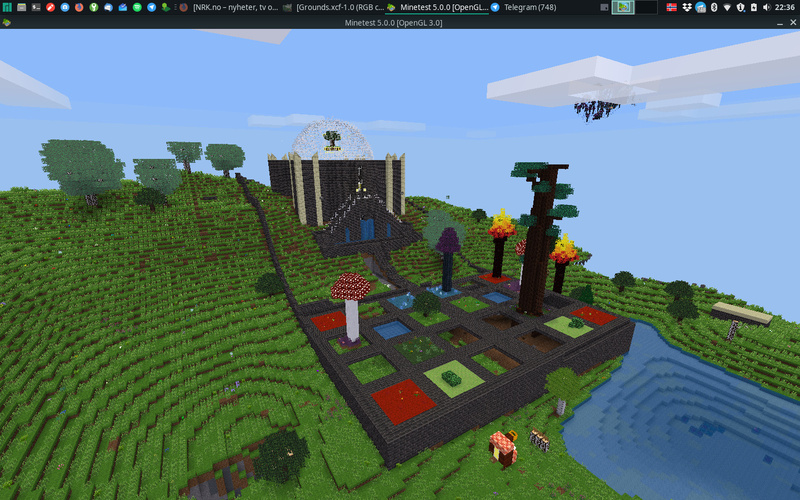 Outside my workshop I have started to create a garden with mini patches of different biomes. When finished, every patch will have a biome specific tree and other features You can visit via my tnet at the pyramid. wow its a wery great idea! i realy like it. a few of us collects plants, but you collect the whole biome! Awesome! Great to see that someone cares about biomes!